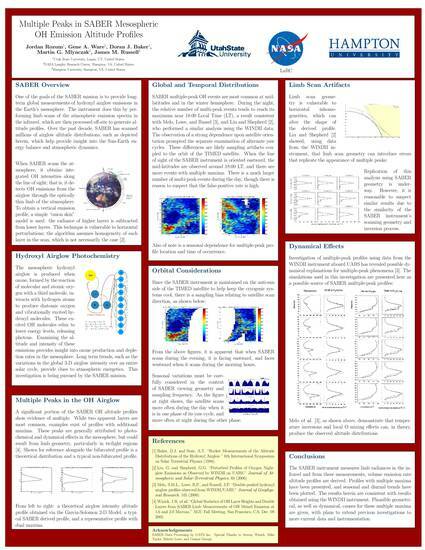 Poster presented at the 2012 AGU Fall meeting. PDF of poster available for download through link above. Rozum, J., Ware, G., Baker, D., Mlynczak, M., & Russel, J. (2012, December 3). Multiple Peaks in SABER Mesospheric OH Emission Altitude Profiles. Presented at the American Geophysical Union Fall Meeting, San Francisco, CA.